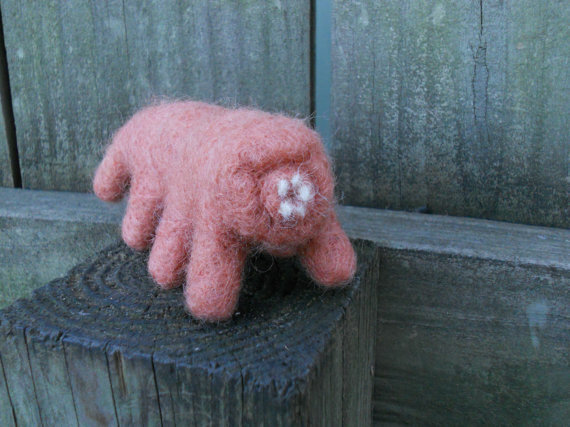 FoxWoolDesigns will make you a perfectly pink felt tardigrade, and has one in stock to fulfill your immediate felt tardigrade requirements. 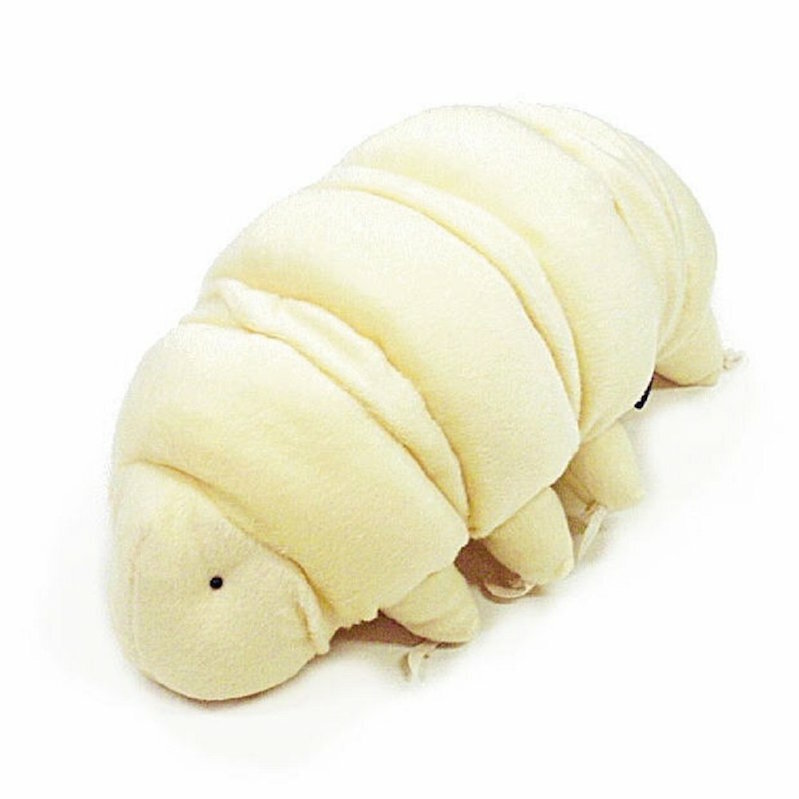 This felt tardigrade is made of coral wool and is about five inches long. That's about 250 times larger than a live tardigrade! My creatures are lovingly handcrafted from sheep's wool in a process called needle felting, which uses a special barbed needle to mesh fibers into felt. Because needle felted creatures can be delicate, this toy is not suitable for young children. Who's a chubby little water bear? Yes you are. Ooh, yes you are. 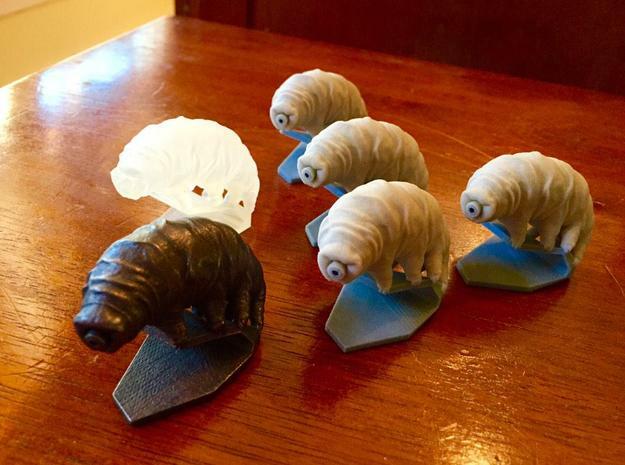 This moment of straight-up cuteness is brought to you by Bob Goldstein, who researches tardigrades at the University of North Carolina Chapel Hill. 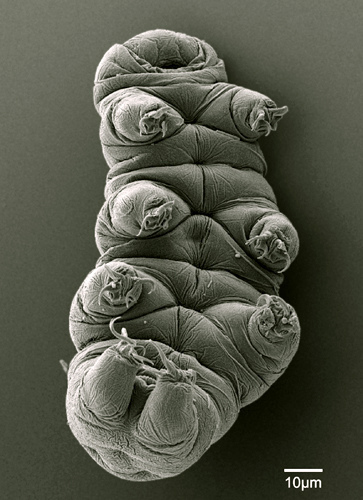 Tardigrades are, of course, microscopic animals that live in moss and the muddy sand on beaches. They can survive high temperatures, freezing, and crushing pressures by drying themselves up into a little hard ball, called a tun. Stick a tun in water and — no matter what horrible conditions it's dealt with — it will rehydrate and regenerate back into a tardigrade. Beyond that, though, we know shockingly little about these animals. Even their place on the evolutionary tree of life is up for debate. Among other work, Goldstein and his team are in the process of sequencing the tardigrade genome. It may well be the most adorable genome on Earth. 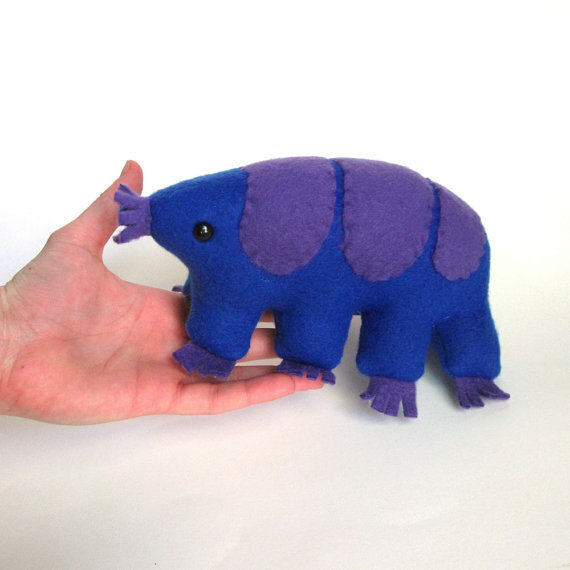 Dr. Goldstein's quick introduction to the tardigrade. Thanks to Xeni for finding this in the BoingBoing Flickr pool!